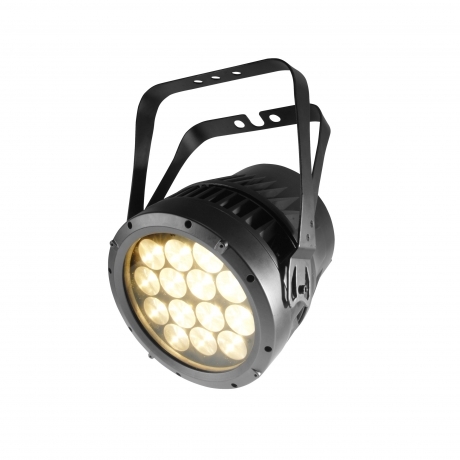 COLORado 2-Quad Zoom VW Tour is a bright PAR-style fixture featuring 14 15-watt quad-color warm white/cool white LEDs with tunable color temperature from 2750 to 10300 K for use in any application, from matching tungsten sources all the way up to and beyond daylight. A zoom range of 11 to 45 degrees, and nine dimming modes allow designers the creative use of the fixture as a beam, wide flood, wash, or both in the same rig. Secure Neutrik® powerCON and in addition to 3- and 5-pin DMX input/output connections and its road-ready construction make it a perfect addition to broadcast rigs, tours, and all forms of live events studio environments.